After an incredibly successful launch event, Harefield Place invites you to view these exquisite apartments. The design and detail of the building truly conveys an atmosphere of timeless elegance, which is evident in the images below. This sumptuous room emanates luxury with its high ceilings, delicate lighting, and spacious surroundings. This is the the perfect room to relax or read a book in, as you overlook the rolling hills of greenbelt countryside outside your window. The Master Bedroom brings in plenty of natural light, which perfectly accentuates the spaciousness of the room. The en-suite is also designed to an outstanding specification, and features stunning fixtures and decor. This area creates a seamless flow between each of the apartment’s rooms. The characteristics of this space brilliantly enhances the original features of the Grade II listed building, with the walls and cornicing preserving and replicating the original, Georgian architecture. 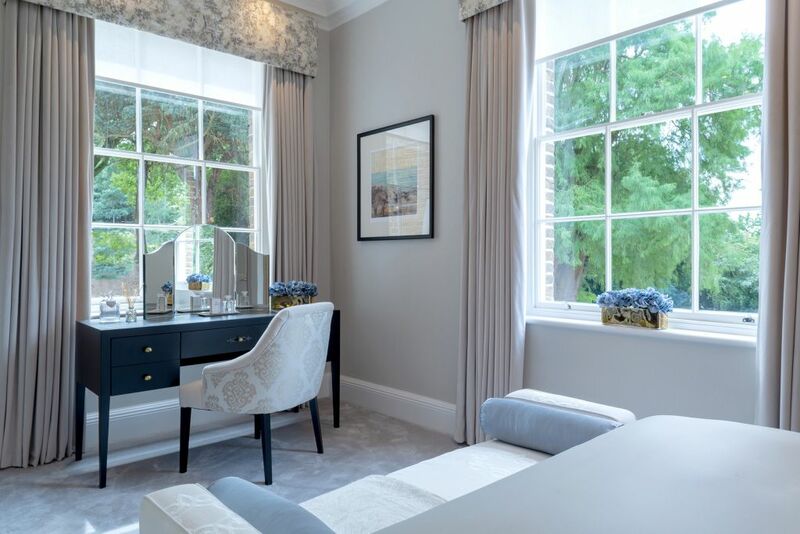 This room handsomely demonstrates the classic and contemporary lifestyle Harefield Place embodies. The large, sophisticated area has been designed with meticulous attention to detail to exude luxury. It has also been designed open planned, to allow for more floor space - perfect for inviting guests over. Additionally, the Kitchen is equipped with the latest technology and has a very generous amount of storage space. By facing out into the living area, the entire space is perfect for socialising whilst you’re busy in the kitchen! This area is one of the most distinguished spaces of the whole apartment. 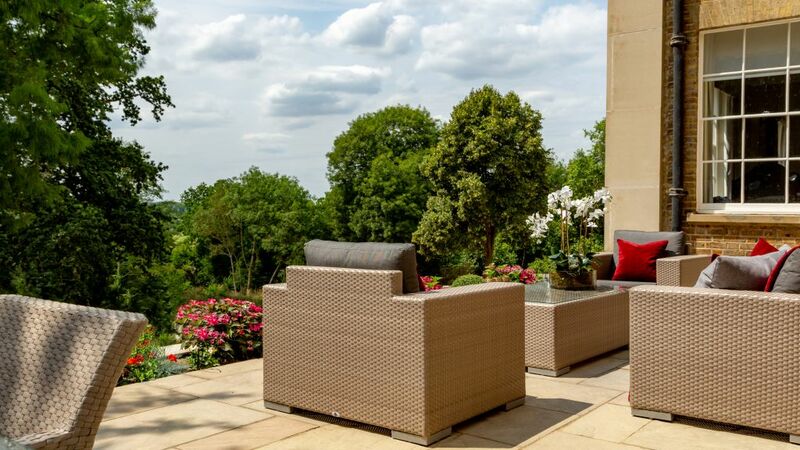 The terrace has been designed with comfort and relaxation in mind, and offers stunning views of the grounds. You can also appreciate the full brilliance of the building’s Georgian architecture, which makes this regal home awe-inspiring to look at. Harefield Place is a privately gated estate off one of the most desirable private roads in Ickenham, completely secluded from city life, and yet within easy distance of local amenities. Few locations offer such a perfect blend of rural serenity, whilst also benefiting from a more urban environment. If you are interested in viewing our show home, please fill in the registration form or contact us directly on +44 (0) 1895 733523.